ALTO DOES NOT MEAN STOP! 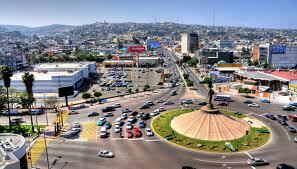 The Glorieta is the wonderful way Mexico merges traffic from 4 corners. Quickly gathering this information, I make the best decision I can based on what I think, feel, see and hear that moment, then hope for the best. When I was 35 years old, I took my first trip abroad and quickly learned about British roundabouts (England’s version of the Glorieta). Once I entered my first roundabout, I froze. Not knowing when to get off, knowing that when I did, I would never find my way back to this place again ending up forever lost in a foreign country. So round and round I went (yes, lots of honking and evil looks). Finally having to exit, I found myself on the highway to nowhere. Happily, I found my way back to the roundabout, which took lots of effort and time. I got back on; round and round I went until I found the correct exit. I decided then and there, I would not allow pushy drivers and honking horns to flood my better judgment. I would get off when I knew it was right, no matter how many circles it took. In my younger years, making decisions was torturous and filled with over-thinking, fear of making wrong decisions and believing if I made the wrong one, my life, as I knew it,would end. If I had used this technique at the Glorieta, I would of never gotten to the other side. I have learned that I must use timing, awareness, judgment, reaction and hope. I know now to trust the feeling in my body and heart to let me know when it is time to take action or just wait. Loving the use of analogy, I decided to compare my experiences above with how I make decisions today. 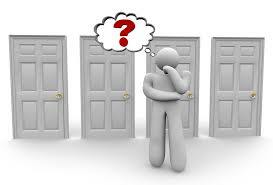 Would love to know how you make decisions? Is it hard? Do you have a method? Do you trust your intuition?